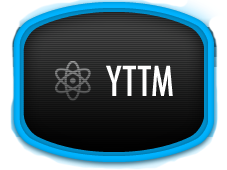 In this post I will tell you about a new app called YouTube Time Machine (YTTM). Where you can select the year between 1860-2010 by which YTTM will randomly select and shows a YouTube video from related to that era for your viewing pleasure. You also have some categories (in right-hand side) to select by your viewing pleasure in which you want to see in, like: Video Games, Commercials, Sports, Music and so on.